Welcome to Dessau Veterinary Clinic, proudly serving the North Austin, Pflugerville, and the surrounding communities. 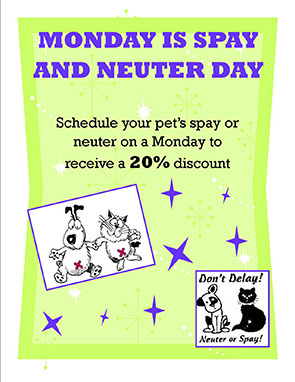 Our clinic was originally founded in 1985 by veterinarian Dr. Kellee K. Campbell. Dr. Campbell and our animal clinic team are committed to bringing our patients the best, most compassionate care available. After all, we truly believe our motto that "gentle handling makes the difference" in veterinary care. 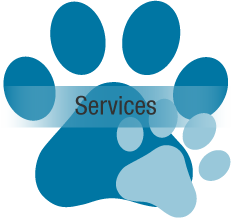 We treat all breeds and sizes of dogs and cats. Dessau Veterinary Clinic is located near the intersection of Parmer Lane and Dessau Road, just north of the intersection on the right-hand side. We are available for regularly scheduled appointments during our normal business hours: Monday through Friday 9:00 a.m. to 5:30 p.m and Saturday 9:00 a.m. to 12:00 p.m. We are available for phone calls and questions Monday through Friday 7:00 a.m. to 6:00 p.m. and Saturday 9:00 a.m. to 12:00 p.m. For emergencies during our office hours, please call us immediately, as we have veterinarians on staff six days a week to handle urgent care issues. The veterinarians on staff at our animal hospital provide the best care possible for our clients. We offer an in-house lab, in-house pharmacy, intensive care unit, radiology facilities, and more. In addition, our animal clinic also offers routine examinations, dental care, vaccinations, spay procedures, neuter procedures, and emergency animal care. Our veterinary clinic also operates as an open hospital, meaning that our team welcomes owners to be with their animals during examinations and vaccinations. In addition to our on-site services, we have an online pharmacy where pet owners can have pet medication delivered to their home. At Dessau Veterinary Clinic, we also offer special services such as dog boarding and cat boarding, in addition to superb animal hospital care. By selecting our dog boarding and cat boarding services, pet owners can be assured their pet will be well taken care of during their entire trip away from home. Our veterinarians are on-hand to attend to any special needs that a pet may have during their stay at our facility. It is our goal to serve the pets and pet owners in North Austin, Pflugerville, and nearby communities with the most compassionate and understanding care possible. We invite pet owners to call or email us to ask questions or to schedule an appointment with one of our veterinarians today.